From perfectly pastel coloured clothing to cuddly pets, the star guardian invasion has embraced our servers in conjunction with the release of the newest Star Guardian skins. With a brand new game mode being part of the campaign, players were excited to team up with their fellow students and achieve that perfect S+ score. Our Student Ambassadors across Malaysia organized a variety of different Star Guardian events to drive further engagement. Many of these events were based on the game mode itself such as the one Taylor’s University carried out. Their event was done in conjunction with her newest intake’s welcoming party whereby new faces would get the chance to try the game mode, make new friends along the way and stand a chance to win Star Guardian skins. However that wasn’t the only way to do it as Jonathan Soo from INTI Penang had demonstrated. The Star Guardian event was inspired by the point system at the end of each match. Jonathan decided to double the fun by setting challenges within the game in return for additional points. From the denial of the summoner spell, flash, to the restriction of not being able to pick the champion, Jinx. The event had seen its fair shares of shouts and laughter throughout the night. Besides the game mode itself , let’s not forget the true star here ! The Star Guardian skins and champions ! That was what Jessie Su from Swinburne University had intended to showcase as a 1vs1 was carried out at the public lobby. Rules were simple, 1vs1 a club committee and stand a chance to win an exclusive Star Guardian skin. The same went for Hui Ping of Sunway University who had carried out a Star Guardian Ahri 1vs1. Whoever was able to emerge victorious against our RSA herself had a shot to win themselves the legendary Star Guardian Ahri skin. 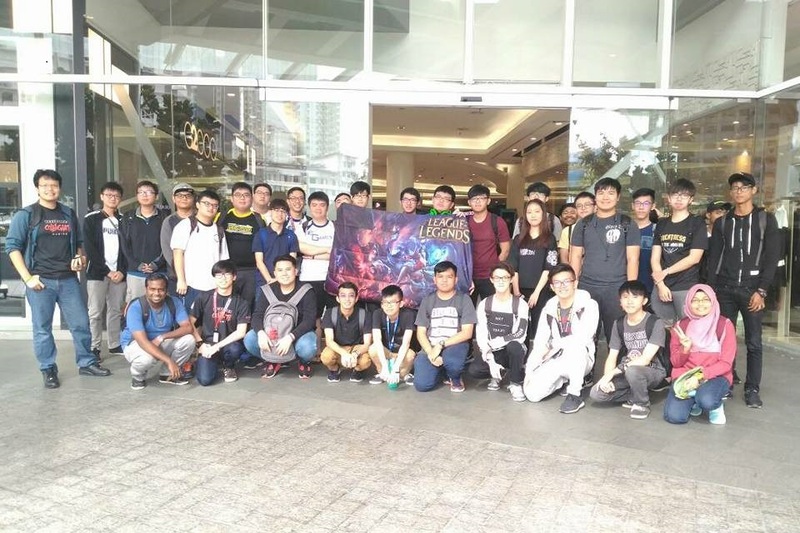 Rachael Ooi of SEGI Penang ran a 1vs1 tournament based on the newly released skins’ champions as a true test of skill. Also to make sure that no one went home empty-handed , everyone went back from the event with a prize whether it be IP-boosts or skins! As the Star Guardian events draws to a close, the RSAs are satisfied that we were able to get our community involved with the event and promote the skin line at the same time. Till the next invasion, Star Guardians! Universiti Teknikal Malaysia Melaka (UTeM) is a recent name education however it's quickly gaining notoriety with its excellence in focused research and innovation in the field of Green technology, System’s Engineering, Human-Interaction Technology and Emerging Technology. It is exactly because of this that we realise why the university might be a little adverse towards the idea of an Esports club and that reason is because the distraction from esports might sway the focus of students from their academic pursuits. Because of this, while a dedicated esports club may have been on the tip of the tongue of many students, it has always been thought to be a pipe dream. While many have tried to run esports activities prior to us throughout the years but often to no avail due and even if passed is only ever as a side activity within a grander function. However, it is also by knowing the reason to the problem that we can start fixing the problem. The problem comes in the terms of perception that gaming is merely a form of entertainment which if nothing else is commonly perceived as a reason to why a person becomes disinterested towards their academics. Fixing this problem is akin to trying to fix the perception of the existing community towards gaming itself and the way that can be done is by first clearing off the false premise that a game is merely a form of entertainment as well as it being a reason for academic disinterest by stating the obvious fact that gaming is an art and like any art, its goals is to inspire and what better form of medium would it be to inspire engineering students to think and develop technology that’s innovative than the science fiction technology seen in games. With that opening, Riot Games Student Ambassador Program provided us with the industrial support as well as credentials which were required to show the university that we are not merely students building castle in the sky and selling snake oil to the administration. The presence of Riot along with our unique circumstances which we were in allowed us to propose for unique and perhaps interesting activities which were melded for an engineering university focused specifically research and innovation such as Teemo’s Obstacle Avoidance Robot Challenge and League of Legends Alternative Mouse Hackathon. In the end, it was only through these activities as well as the support from Riot which allowed us to finally breach said negative connotations and shine a new light onto the possibilities of an esports club can do for the university and its students which pushed us towards the officiation of the club. Up to date, we have started from a measly core committee of 10 members who fought hard against the constant ominous prophecy of doom for the establishment of our club as well as the constant barrage of negative perception towards the club’s potential existence and have since grown in a short span of 6 month into a club consisting of 26 active committee with 83 members and an active group of lecturers and administrators who supports the club’s activities. Among the activities we have ran since our inception were planning a trip to The League Circuit in KL for the League of Legends community in Melaka, we ran mini League of Legends tournament in collaboration with MMU esports Club in conjunction with the Independence Day celebrations titled Heroes of Merdeka and recently an AGM/ Recruitment Drive to spread the word that we are here and we are real. Last but not least, in plans for the University community at the start of this new academic year, we have installed for them an engineering career in esports talk for the engineering community as a whole, Teemo’s Obstacle Avoidance Robot Challenge for the electrical and mechanical engineers, League of Legends Alternative Mouse Hackathon for the software engineers, Annual UTeM Campus League for the League of Legends and last but not least a denewbification program which aims introduce League of Legends to the community with hopes to build up skilful enough players to one day take home the worlds title for UTeM. With all that said, the journey is far from done and while the road ahead may be dark and full of terrors, together we will pull through to hopefully emerge stronger than ever before as a community. The Riot Student Ambassadors (RSAs) have been making their marks in their respective universities and colleges. For most of them, students at their university have historically had very little exposure to gaming and the eSports industry. 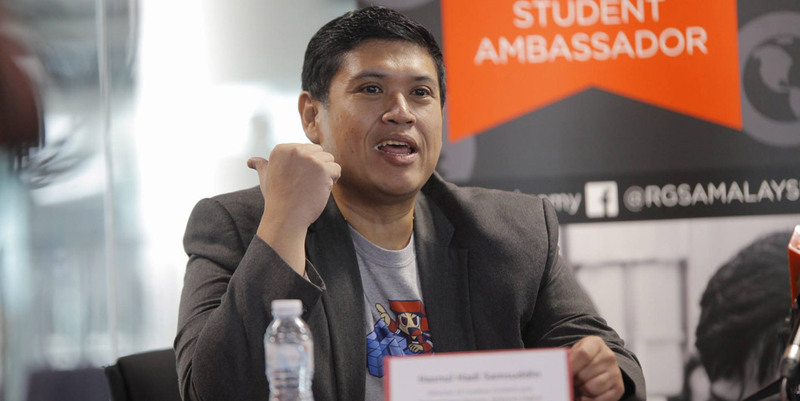 The RSA’s first major challenge was to set up a gaming club to connect fellow gamers on campus. Riot provided a standard Club Constitution template as well as a Club Organisation Design guide to help the RSAs. The RSAs then had to produce all other required formal documentation, localize the content into Malay if the university or college is a public institution, find a suitable faculty adviser for the club and crucially also build the interim committee. In many of the campuses who have Riot Student Ambassadors, this was the first time that students have tried to setup a formal gaming club, so expectantly our RSAs faced considerable resistance. Nonetheless, 16 new clubs were formed within the two months of the program. For the remaining universities, all have begun the process, and we should be welcoming more gaming communities over the coming months. Despite all the challenges and setbacks faced, the end result of forming a club with a common interest of what you love is the ultimate reward. “The feeling of being able to start something that was unimaginable just a year ago is the most rewarding part" shared by Ling Gaozhe from University Technology Malaysia KL. Not only are the RSA’s excited, but students of their universities are glad to finally hear that gaming clubs are being founded. “There are clubs for chess, clubs for languages and clubs for sports but somehow gaming clubs never seemed to surface. 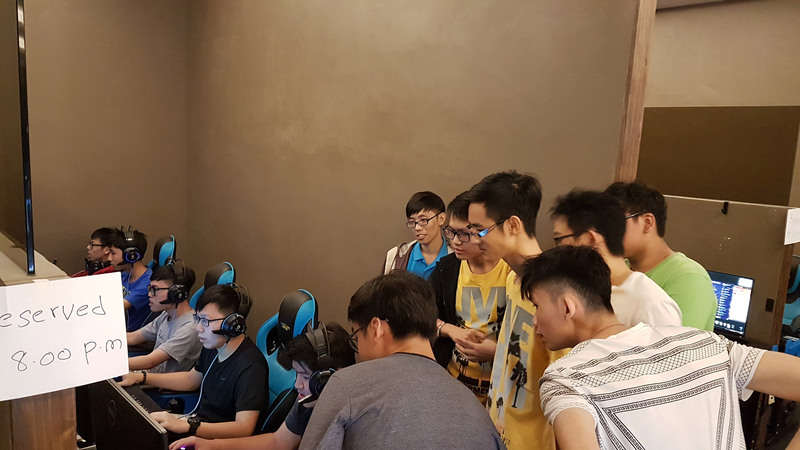 Finally, we get a place to connect with players.” said a member of the Taylor’s University E-Sports Club. With the positive feedback that we have received from students, members and university admins, we can only expect to see exciting plans and accomplishments from these gaming clubs. 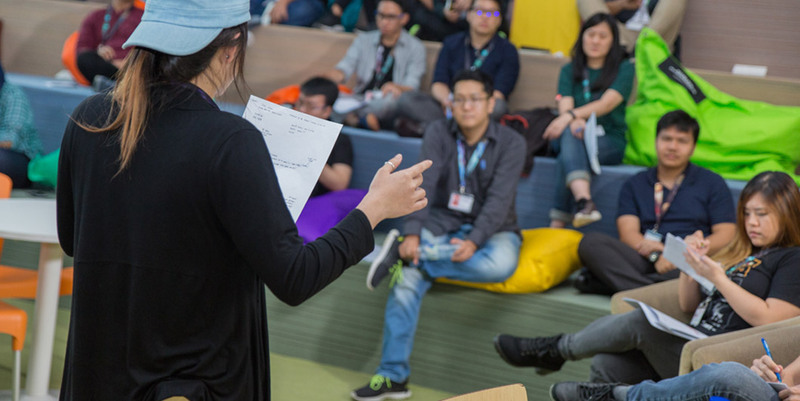 On 22 - 23 April, Riot Games hosted the official launch event for the 28 selected Riot Games Student Ambassadors (RSAs) for 2017/18 at Asia Pacific University. The event brought together a group of passionate students from across Malaysia to set their course for the rest of the year. Through a combination of icebreakers, formal training sessions, group activities and presentations, our RSAs were able to understand the scope and purpose of the program. We covered topics such as event planning, community building, managing finances and Riot’s values. Moreover, each RSA received a swag package to manage and distribute amongst their university’s League of Legends and gaming community. The event also gave the opportunity for the students to build connections with other students who share a similar passion. Many of these new friendships will ensure each RSA always has a team of collaborators to bounce their ideas off. If you’re a passionate gamer, student or even faculty member at any of the universities where Riot has an RSA, we encourage you to reach out to them! There are plenty of ways to get involved. Through connecting a community of enthusiastic gamers, with an average CGPA of 3.5, we’re positive that this year’s team of Ambassadors will be able to accomplish great things. To officiate the public launch of the Riot Games Student Ambassador program, Riot Games hosted an official Press Conference on 21st April 2017 at the Asia Pacific University. We held an initial panel discussion with Benjamin Pommeraud (Riot Games - Country Manager SG/MY), Hasnul Hadi Samsuddin (Malaysia Digital Economy Corporation - Direction of Creative Content & Technologies) and Gurpadeep Singh (Asia Pacific University, Vice-President Operations), followed by media questions and individual interviews with selected media partners. In total, there were 22 different media partners in attendance, including New Straits Times, the Star, Astro eGG and many others.